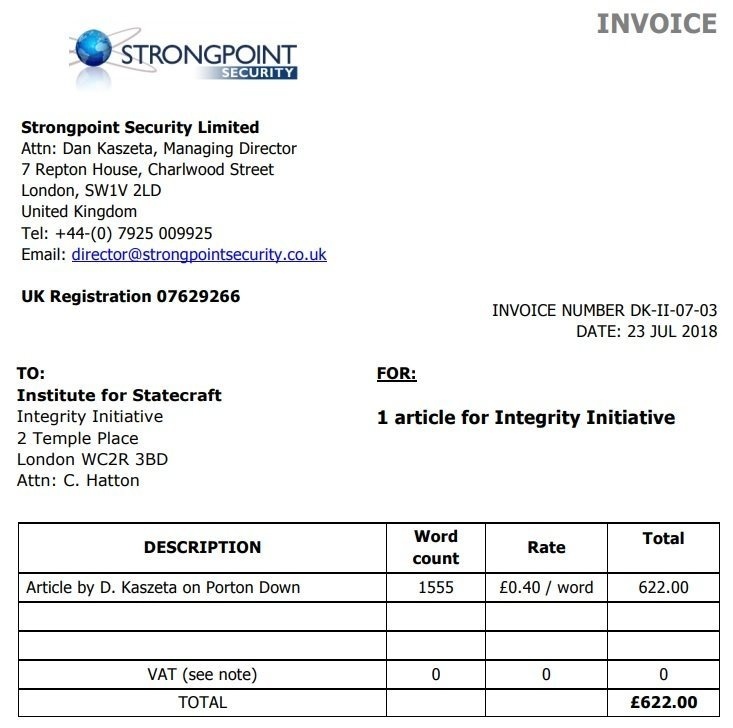 More Leaks On ‘Integrity Initiative’ Propaganda Project Reveal Coordinated Skripal Case Campaign 5 out of 5 based on 2 ratings. 2 user reviews. On January 4th, the Anonymous released its fourth batch of Integrity Initiative (II) documents. Notably, the documents reveal the part II played in monitoring and forming the media narratives after the alleged Russian poisoning of former-spy Sergei Skripal and his daughter. Both Sputnik and RT provided overviews of what the documents revealed. A file from “early 2015” is called “Russian Sanctions” and it’s written by Victor Madeira from the Institute of Statecraft (IfS) (the UK-state funded body that began the II project). It provides for “potential levers” to achieve Russian “behavior change,” “peace with Ukraine”, “return [of] Crimea”, “regime change” or “other?”. The suggested “levers” span almost every conceivable area, including “civil society”, “sports”, “finance” and “technology”. The “sports” lever suggests “advocating the view [Russia] is unworthy of hosting [sporting] events” — and the section marked “information” recommends the sanctioning of ‘Russian’ media “in West for not complying with regulators’ standards”. “We will need to impose changes over the heads of vested interests. We did this in the 1930s. My conclusion is it is we who must either generate the debate or wait for something dreadful to happen to shock us into action. We must generate an independent debate outside government. We need to ask when and how do we start to put all this right? Do we have the national capabilities [and/or] capacities to fix it? If so, how do we improve our harnessing of resources to do it? We need this debate now. There is not a moment to be lost,” the notes said. 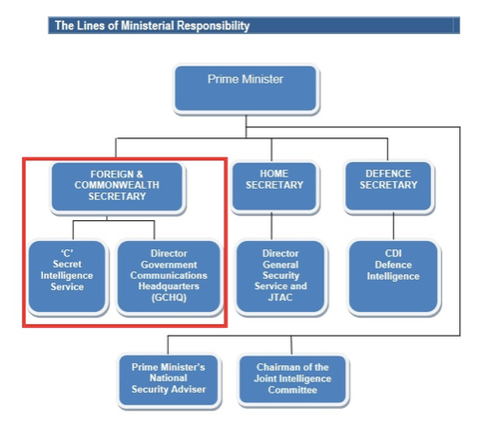 The operation related to the Skripal case is called “Operation Iris.” Several days after the Skripals were poisoned on March 4th, 2018, the IfS provided its services to the UK Foreign & Commonwealth office to “study social media activity in respect of the events that took place, how news spread, and evaluate how the incident is being perceived” in a number of countries. 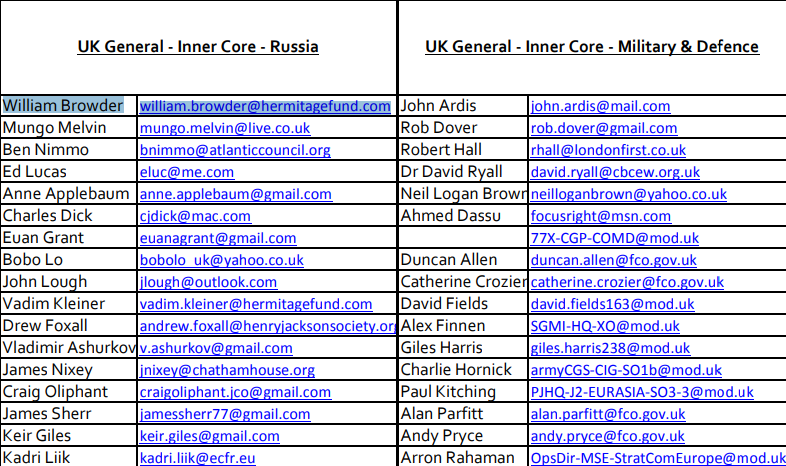 Under Operation Iris, Harod’s confidential report compiled a list of “pro-Russian troll accounts,” all of which accused of “bombarding the audience with pro-Kremlin propaganda and disinformation relevant to the Skripal case.” The list contained Ukrainian-born pianist Valentina Lisitsa, and a gentleman from Kent who goes by Ian56 on Twitter. With the UK government’s permission, the II hired the “global investigative solutions” firm Harod Associates to analyze social media activity related to Skripal. The II conducted its own media monitoring. They were coordinated by an IfS “research fellow” Simon Bracey-Lane who produced regular ’roundups’ of media coverage overseas, based on insights submitted by individuals connected to the Initiative living in several countries. 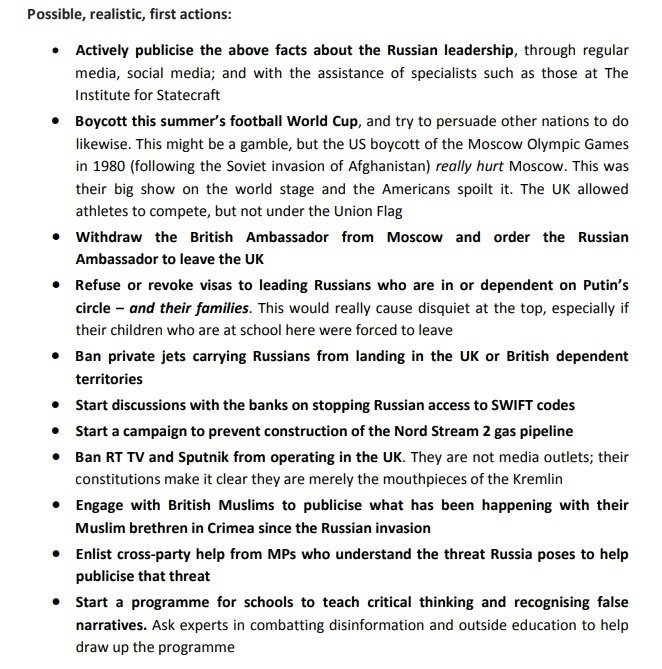 One document dated March 11th, is a briefing on the Skripal situation since March 4th, containing key messages throughout. Following the poisoning incident, IfS’ Victor Madeira made numerous media appearances all of them regularly documented. The IfS also had the contact details of Pablo Miller, Skripal’s MI6 recruiter, handler and neighbor in Salisbury. Furthermore, the documents revealed the person behind the smear campaign on Jeremy Corbyn, the Labour’s leader: Chris Hernon, who received numerous invoices to tweet the information to his approximately 500 Twitter followers and contribute to the Foreign Office. My poor Country has turned into a shyster. Very, very sad. I am thinking the same Al. All of western Europe has had its hands in the trough of exploitation/empire at one time or another. All of our governments are complicit in these crimes throughout history. Britain has done some good in the world but always for a price, whether that be goods or influence, or both. 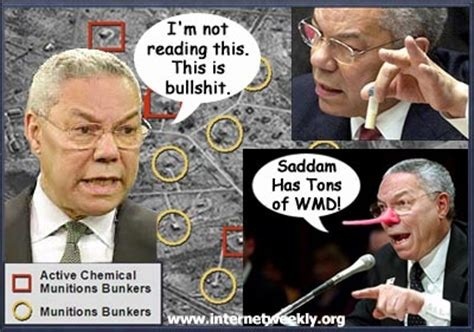 I suppose that these days it is easy to find ‘historical and current narratives’ that do not always accord with actual events of the ground that can be verified by people on the ground with smart phones etc, in real time. In Homeland Propaganda terms, Britain is still in the age the village priest or local warlord. The narratives that Britain spews out is childish at best but even that is accepted as truth by all too many dullards and charlatans from all walks of British life. Your in good company. At least take solace in the fact that you knew what the truth was from the very start. This info just confirms what we already knew in our gut. The saddest part for me are the friends and family who actually believe this garbage and the people who spew it. Loving these articles, which the MSM seriously ignore. I wonder why? Keep them coming and expose the treasonists. Who are behind the group, nobody elected for, but, receives 95% funding from Nato Member States tax payers, UK Government, courtesy of the tax payers and US State Dept, courtesy of the tax payers. 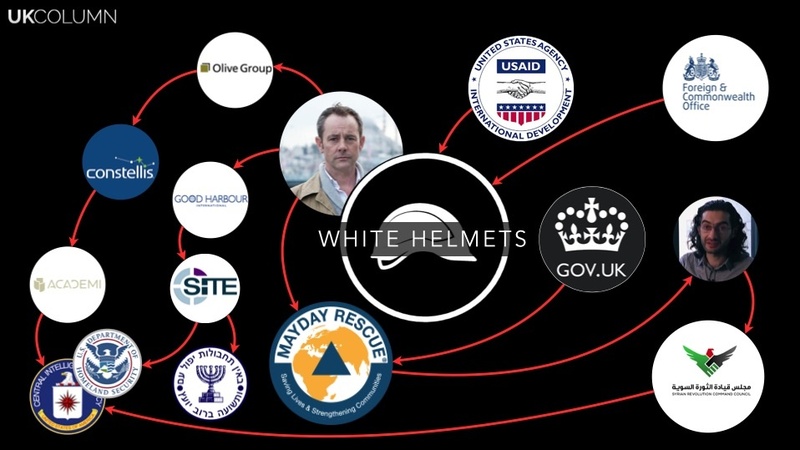 Funny, how same crowd are funding the White Helmets? This will end badly for the UK that will either become an ash pile or a Totalitarian State to rival the darkest periods of British history AM. And nowhere else off course. The rest smells better then a newcleaned behind of a baby. Sometimes I read things as people has left their own country because they have not cleaned it and prefare to start all over a less poluted place. Living in the UK, we elected the trash and never bothered to notice what was happening. Just hope the 1% satanists, get taken out, before they destroy the planet. I must say that the gaggle of politicians we have now are mostly all lacking in integrity, common sense, honour,general and historical knowledge from all perspectives , real life and employment skills and so much more. The political cess pit has always stunk and today it is overflowing again. Tis time to pump the bastards out and spread the filth on some fields as fertiliser. Professional politicians, with a degree in some form of social science. Highly schooled, but, lacking integrity, plus, intelligence. Narcistics flock to politics, including teenage narcistics. If they can get into parliament the scumbags have an easy job with little real responsibility and the possibility of Non Exec Directorships and roles in Quangos of various colours and creeds. I went to some political lunch, just the party, inviting an MP to attend, a few years ago. What shocked me, was you could not hold the MP to account. For some reason I got into trouble, when the idiot was going on and I asked why we provided aid to two nuclear deterrent nations with space programmes. International aid Budget/Foreign and Commonwealth Office/White Helmet Petty Cash Fund – sends UK tax payer’s money to both China and India? Now why would that be? 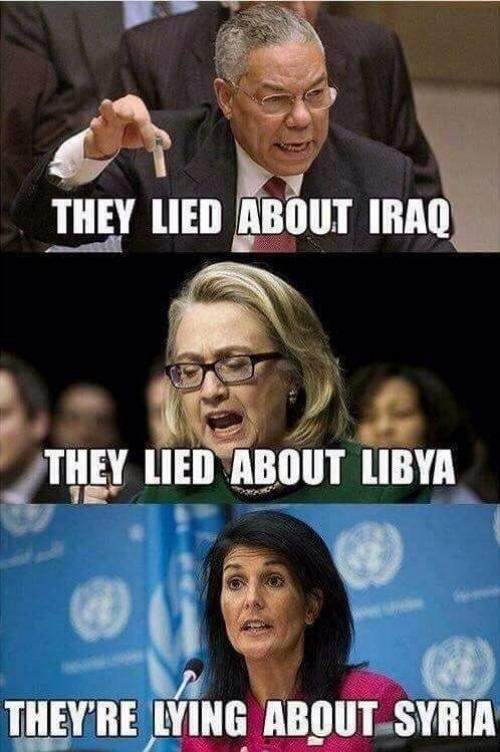 They go round, with no opposition, plus, never having to be accountable for anything. I now fear that the overseas aid budget has become a slush fund for our corrupt politicians and LYING elite, possibly combined with regime change operations, as with the WH head-choppers in Syria. It is time to bring an end to this “aid” racket. The only budget, which keeps rising. Yes, this is the only budget guaranteed to rise with the sweat of UK labour and its wealth, something that is not accorded to its health, education or defence. Why? To fund the foreign clandestine “hobbies” of the NGO sector and our corrupt politicians? Who audits this massive budget? The very same MPs, of course in the public accounts committee! How very convenient. Meanwhile, in our streets, schools, hospitals, seas and trains…. aah, just read any depressing newspaper. There is no corruption in this. You might consider freqenting the nationalistic english dictionaries for it. It also would be nice, if You added a poig into the flag gioven by Union Jack. It semes its too much for everybody. More like GB in 793. GB has no corruption compared to most other countries in the world. The major group in GB for that probatly are the EMMIGRANTS named Oligarks. You can take poison and gas on that. LOL, I live over here and you see the corruption everywhere, particularly, where ‘Common Purpose’ runs the show. Those Common Purpose ‘graduates’ who are public servants breach ALL the Seven Principles of Public Life as set out by the Committee on Standards in Public Life. Not forgetting those involved in the 95% Nato member states/UK Government, plus, US State Department, funded ‘Integrity Initiative’. Now what were they set up to do, plus, who is involved? I see no corruption in thos at all. Its about hiding legal stuff as well as hiding very dirty stuff. To me the main problem is in matters like that, where to find some neutral investigators. I see very few here too, but of course we are top ranked in establishments. I partly agree. KInd of putting extrra socks on your feet hoping You dont have to wash them. Thank you. For the Evil rich to go to the limits that they do they must be feeling some extreme FEAR. They should be scared by what they have sown. It won’t be one sided. Keep hoping they keep piling on the pressure. The irony, using media propaganda, to covertly demonise Russia. Only to be taken down, by the ‘boomerang’ effect. Russia dont need to be demonized, they are doing fine themselves. We mainly just refer and bring pictures. Then why is the West spending so much money on trying to upset Russia, if they can do it themselves? Including attacking, without luck, Russian cyber defences? I mainly thonk dirty people dont feel fear. Else most of them would not do crimes and try to hide it. Its a waste to come people into prison, if they hardly understand why as well. I dont think this is ignored. Most of that has been on the internet for the whole world for even years and You bring it as NEWS. Its not. If You dont like whats written, You could reduce Your own many years into, that some also dirty hands are putting their fingers in the soup . Really? 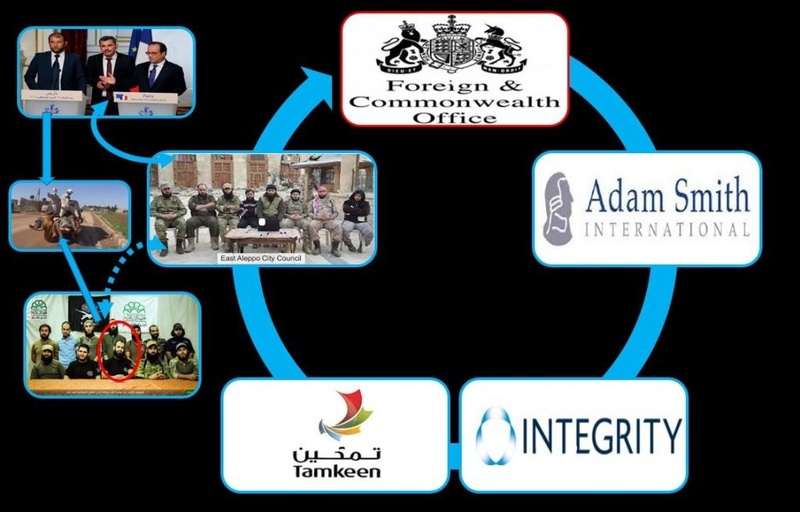 Never see the UK MSM mention the actions and work of the ‘Integrity Initiative NGO’ or why the same crowd, who were also involved in spinning the Iraq War are involved. 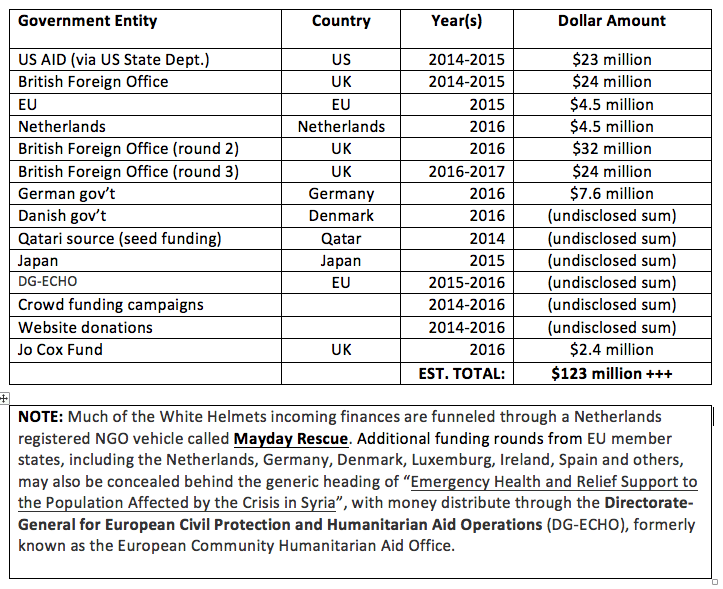 Funny, how they also fund the White Helmets? Why on Earth should I, as a UK taxpayer, pay for this Soviet propaganda from these FAKE NGOs and the government controlled BBC? Big deal? Pay for your own lobotomy? What happened to you to make you so servile, docile and spineless??? Holy Cricket, did not take much notice of the story below, till reading this part of the story. 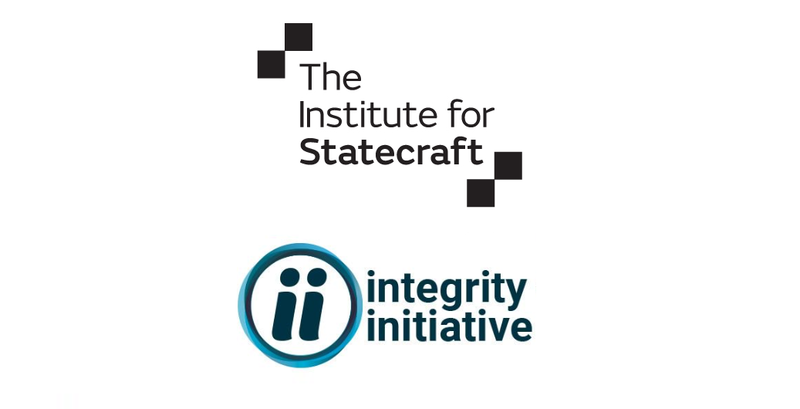 So how does it fit into ‘Integrity Initiative’? Owing to the speed of the Governments, to blame, then punish, with no facts, evidence, or conclusions. Job done, and they get the result that suits them, with nobody asking for clarification of the facts. They are right doing this.. Many otrhers on all levels are reflecting like this. It has become too easy to hide evl and even good stuff and the internet media has to in the other hand be regulated and in the other have free speech. It should not be an option for us, that less and less can be trusted. My own proposal could be some delay for writing here could be usefull, beacause then more could be verified before we get it. In the other hand, I have no idea about how. To much here is hardly oppinions and manipulations from professionals give us no chance to read oppinions ofothers and get out own. Thios certainly is not only aboput the Bolsjoj theatrre in GB.